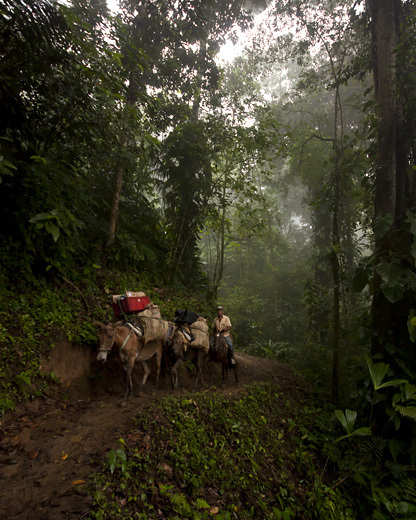 Searching for the Lost City. . .
Hello dear friends! 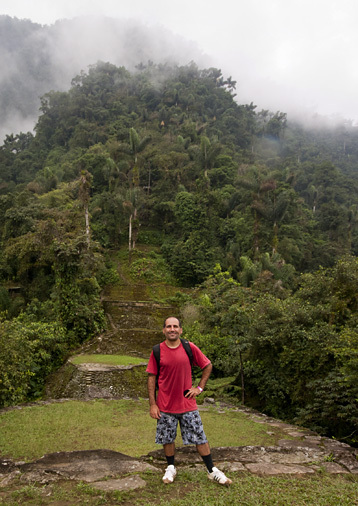 This time I tell you of the extraordinary Ciudad Perdida, the Lost City in the Colombian forest. 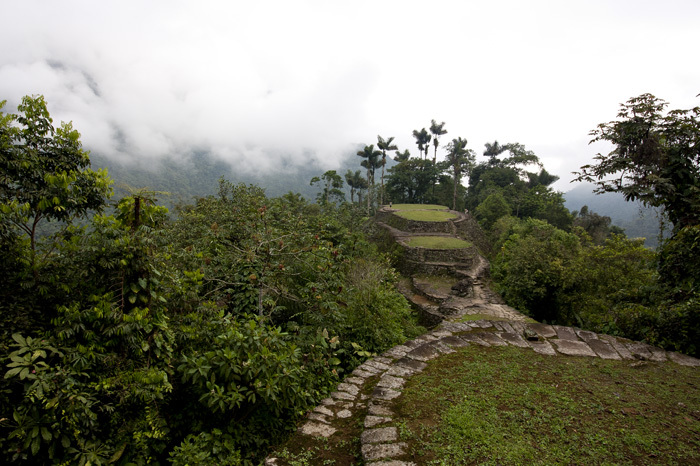 Its name is Teyuna and it was built around 800 AD by Tayrona, the generic name of the people who inhabited these areas before the arrival of the Spaniards. After it was abandoned, it was swallowed by the forest for over 400 years until it was discovered in 1972 by grave robbers, who, for some years after, sold in markets its treasures, especially gold objects. In the early ’80s the first tourists started to arrive and the only way to reach it is by trekking in the forest for at least 4 days. Entering the forest. 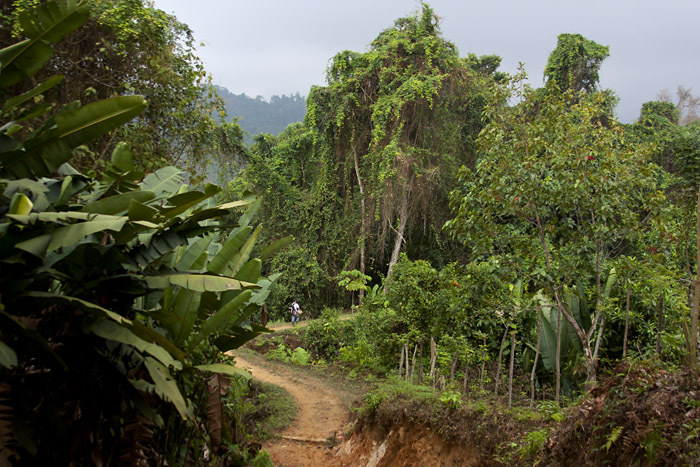 Generally, the hiking is about going up and down the mountains of the Sierra Nevada de Santa Marta. 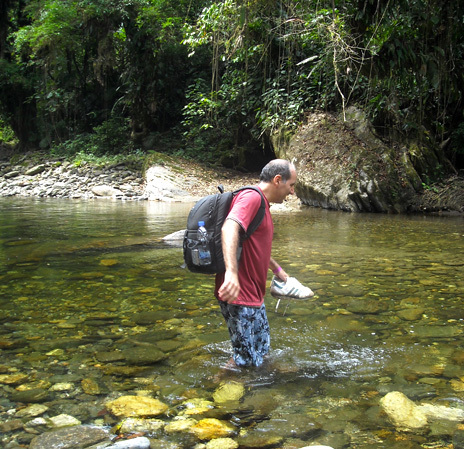 Sometimes alongside the Buritaca river, sometimes on the crests. 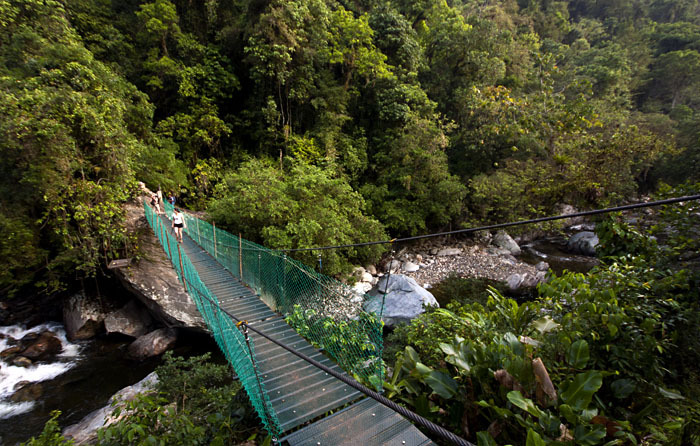 It is quite challenging, but worth doing, both for the spectacular scenery you pass through and for the lost city reached at the end. 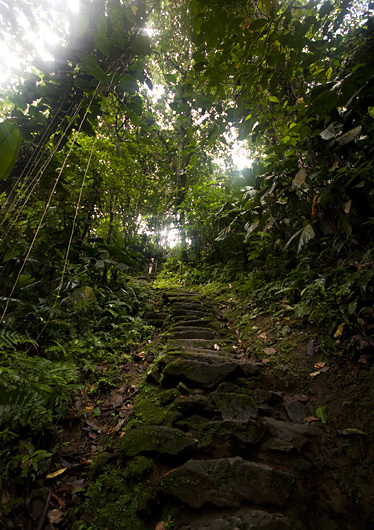 The main problem is primarily the mud that makes strenuous climbing and dangerous descending because of slips. 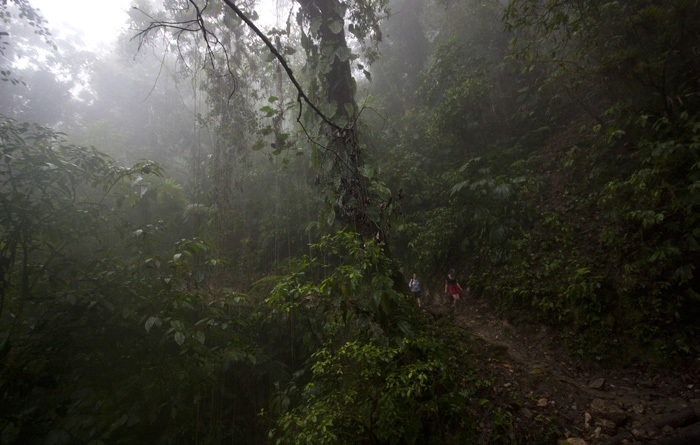 In many places there are very narrow paths near cliffs, a little dangerous. My first day was hard because I covered the path that I had to do in two. The night before leaving, the agency told me that there was no one else but me and then I had to choose if to wait at least a day to form a group or to reach the group that started already in that morning. So I did almost 10 hours of trekking, the last 2 hours with the torch, it was already dark. 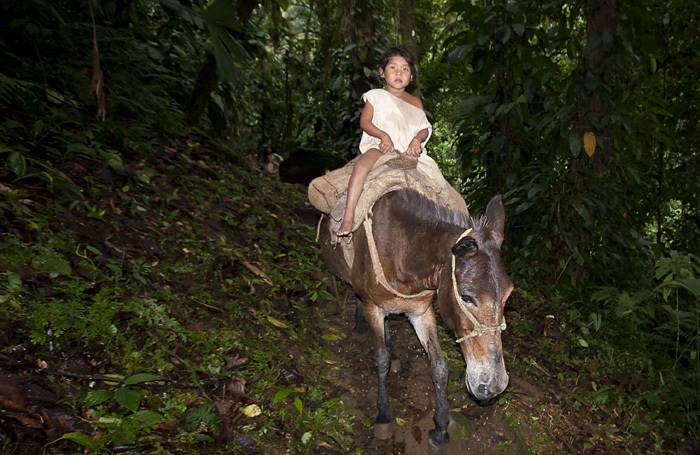 My guide was a young boy and at one point a dog joined us along all the way. 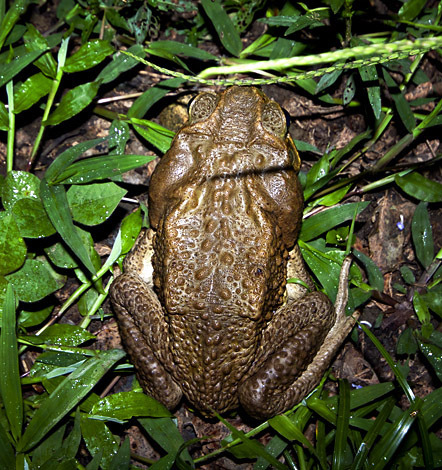 In the dark appeared big toads. Before leaving, the agency had recommended me not to touch them because they are poisonous. Then I realized: probably they are the famous hallucinogenic toads! A nice lick to their back… and away, flying to new horizons! Eh guys, I know, but in life nothing is free. 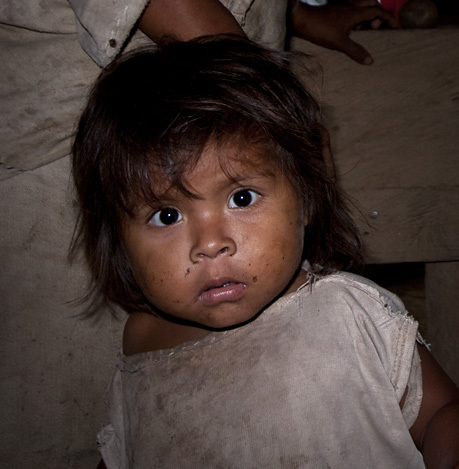 At the first night camp I started to meet the descendants of the Tayrona natives, which are divided into 4 groups: Kogui, Ikas (also Arhuacos) Wiwa and the Kankwamos. 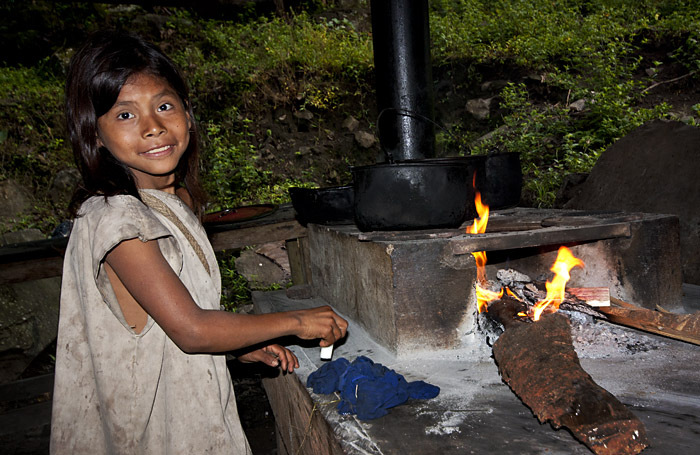 They speak the language Chibcha. 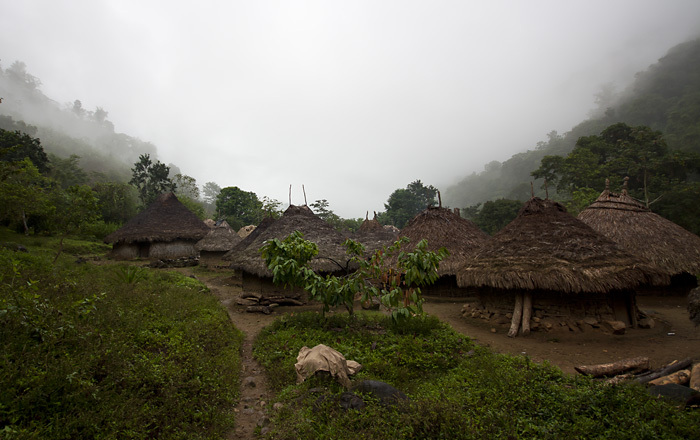 When, after 75 years of fighting, the Spaniards defeated them in the Sierra Nevada, the remaining Tayrona were massacred and their villages burned. 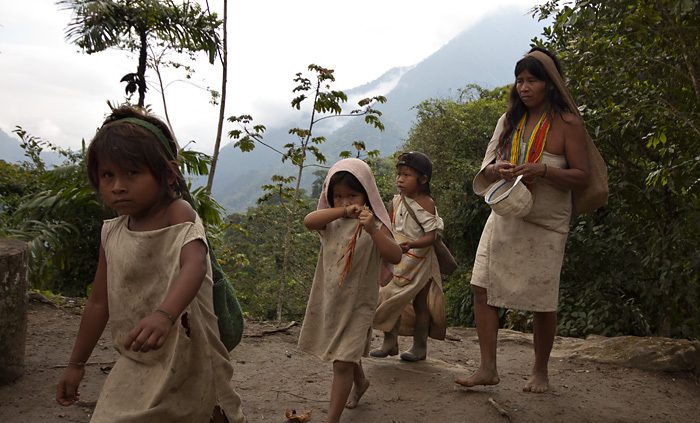 Some natives, however, managed to flee to the mountains and higher areas, hidden from the Spanish armies and missionaries, and there they recreated some communities. 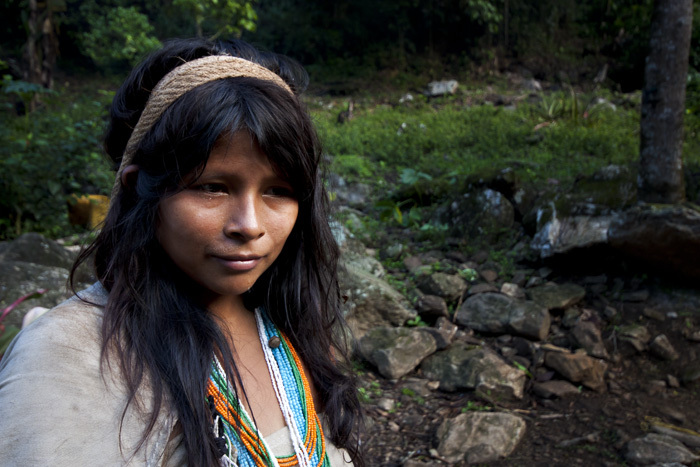 Kogui woman. 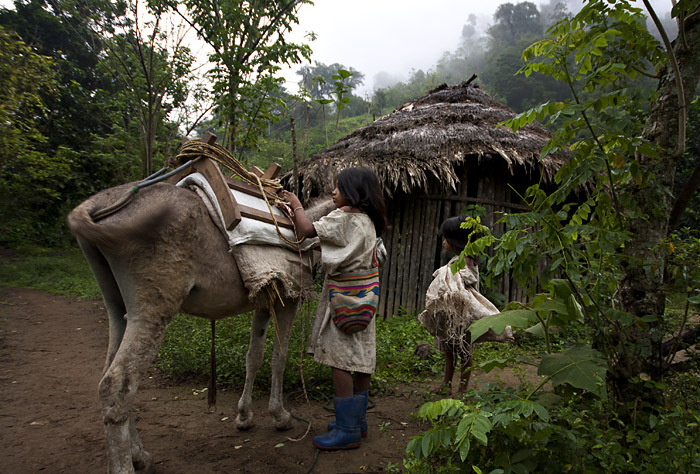 In their primitive simplicity they consider the Earth as a living being to be treated with care and respect, even in the way of cultivating it. Instead of brutally exploit it and maximize the profit they care about the animals that live there and the future generations! What fools! After a night sleeping with the sweet sound of river and nocturnal animals, I joined a group of another agency because the group that I had to reach had moved already ahead. 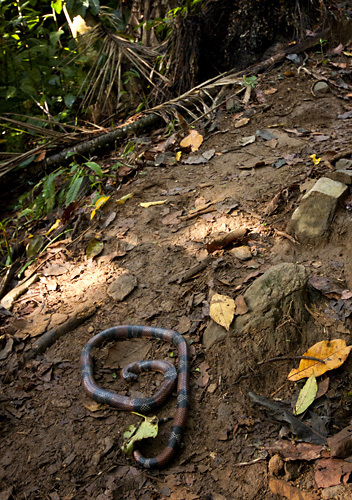 Poisonous snake on the trail. All very Indiana Jones, in short. 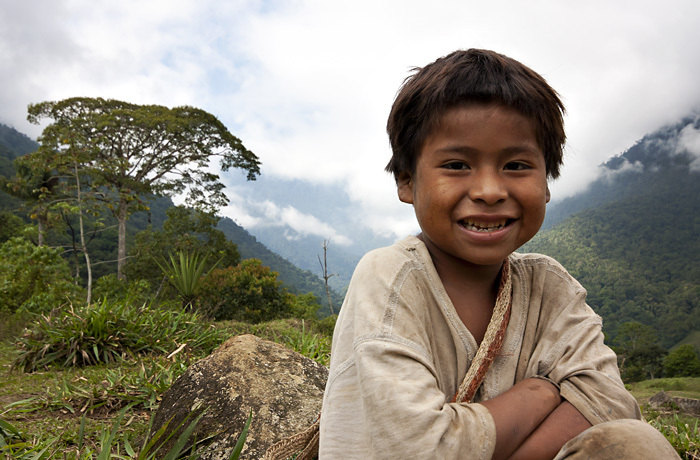 The descendants of the Tayrona have a very spiritual existence. Everything has a symbolic meaning for them and what is important is precisely the meaning connections that bind the entire universe beyond the tangible realities. Thus, for example, a house is also a mountain and a mountain is also the cosmos… every element, even the smallest, reflects the whole. Save a small portion of the Earth can save the entire planet and they think they’re doing just that. And we hope they are right and they succeed. “At first there was the sea. Everything was dark. There was neither sun nor moon, neither people nor animals nor plants. There was only the sea, everywhere. The sea was the Mother. She was water, water everywhere, and she was river, lagoon, stream and sea, and so she was in all parties. Thus, at the beginning there was only the Mother. Her name was Gaulchovang. 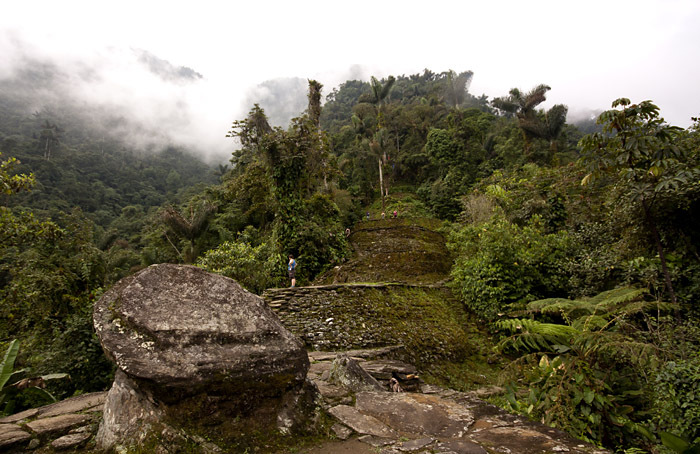 At one point, from the river begins a long stairway leading up to the Ciudad Perdida. Indigenous people claim to know since ever of the existence of the city and in fact it is unlikely that, hanging out in these areas, they had never noticed this staircase before. 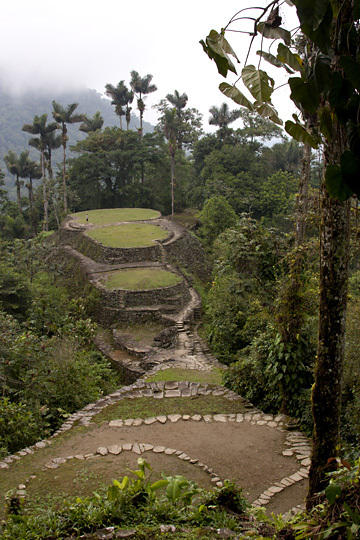 Finally we come into the Ciudad Perdida. 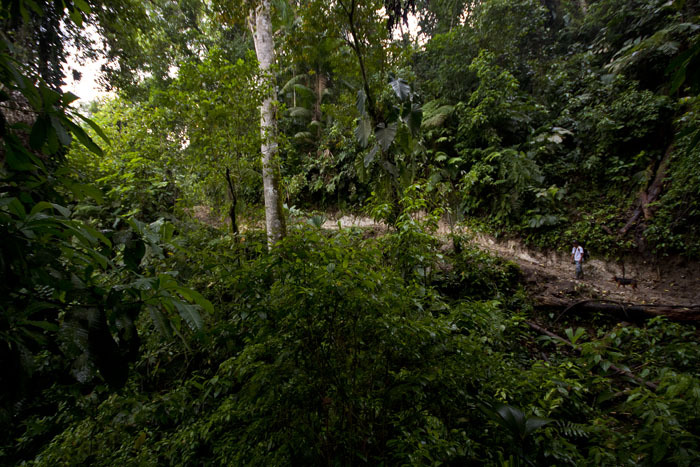 It’s very large, about 3 km square, but many parts are covered by forest and it has been decided to not uncover them. The stone circles on the ground are the points where there were the huts, which were of the same type as those of their descendants now. When archaeologists come here, they found most of them destroyed by grave robbers because the Tayrona buried the dead under their houses, embellishing with a lots of gold ornaments. Military in the site. The biggest problem is still grave robbers looking for gold and treasures. 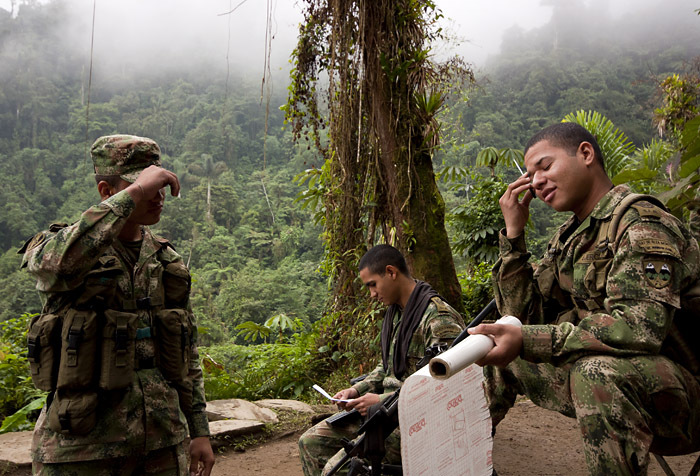 Moreover, in 2003 the guerrillas of ‘ELN (National Liberation Army) kidnapped a group of tourists asking for more attention on human rights in Colombia and released them after 3 months. The city rises from 900 meters up to 1300 and is composed of terraces at different levels with a complex system of drainage of rainwater. 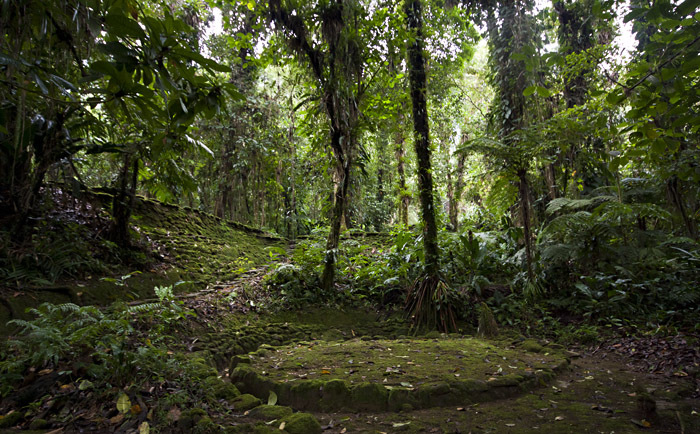 Once, all the towns in the area, over 200, were linked by stone paths in the forest, until the sea. Almost certainly other cities are still hidden somewhere around and I think that the grave robbers have already found them. Practical people, if we wait for the bookworm archaeologists, goodnight. According to the guide, that was very competent, the city was just a sacred place, and it was inhabited only for those occasions. Elsewhere I read instead that, as well as religious, it was also an important political and economic center and was inhabited permanently by 1500 to 3000 people. 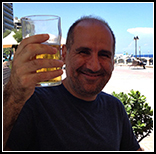 This entry was posted in colombia and tagged ciudad perdida, colombia, kogui, lost city, tayrona, teyuna by Dekaro. Bookmark the permalink.